Although the life saving benefits that fire sprinklers bring can never be overlooked it is true to say that a fully installed sprinkler system can open up many design opportunities. Today, still, it is surprising to find that a lot of architects, designers and builders are unaware of such design freedoms fire sprinklers can bring. Ultimately a sprinkler system can provide its occupants with an enhanced level of fire protection. Better still, sprinklers can help you maximise living spaces combining both comfort as well as safety. These days the vast majority of domestic and residential sprinkler systems use concealed sprinkler heads ensuring a minimal visual impact. Furthermore installation is quick and simple thanks to the extensive use of CPVC pipe-work and solvent cement. Figure 1 – A sprinkler system can allow for better open planning. In Wales it will soon become mandatory for all new builds to have a fitted fire sprinkler system. Until compulsory legislation is brought into England and Scotland sprinklers will only ever fulfil the need of a building requirement. As such it is crucial that if a fire sprinkler system is considered it is designed into a project from the offset – this will ensure that costs can be kept to an absolute minimum. What are the Fire Sprinkler Design Benefits? The following three building design guides summarise the permissible trade-offs which a fire sprinkler system can bring when in agreement with the relevant Authority Having Jurisdiction (AHJ). An additional and separate staircase is not required in dwellings over 4.5m high from the ground, so long as they are fully fitted with sprinklers (2.7b). Residential care homes can increase the quantity of beds as well as negate the need for self-closing doors should a sprinkler system be fitted (3.52). Fire separate between a store room and a shop front can be relaxed (5.58). Fire fighting shaft requirements can be relaxed (17.9). Did you know: Research conducted in 2009 identified that a fully fitted sprinkler system within an open plan flat could provide a greater level of safety then that of a standard ADB compliant design. Click here to download a fact sheet summarising the key sprinkler clauses documented with ADB. Click here to download a fact sheet showing how sprinklers fit into the wider context of building regulations as well as trade offs. Compared to ADB this standard offers a more flexible approach to building design, incorporating fire engineer principles. Unlike ADB this standard considers the occupants who will inhabit a building as well as the buildings characteristics. Longer travel distances – the 45m rule can be extended. Larger compartments – larger open spaces. Relaxed fire resistance between compartments. The most recent design guide aims to complement BS 9999, which excludes individual dwelling houses from within its scope. 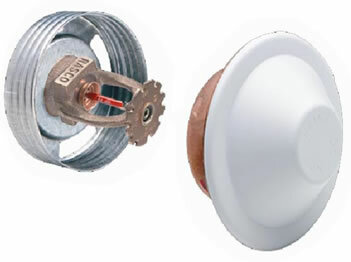 BS 9991 maintain the design flexibility shown in BS 9999 and recognises the strength that sprinklers can bring. Importantly watermist systems get conditional approvalproviding (subject to AHJ agreement). 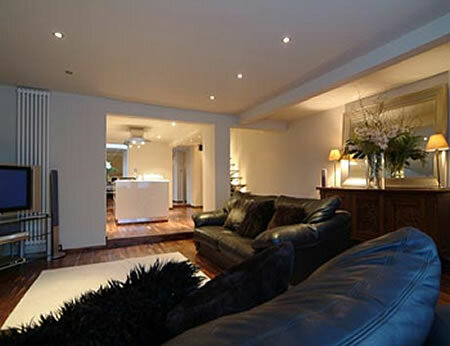 3 storey house with open plan ground floor (6.3). 4 storey house with no second means of escape (6.4). Increased travel in common corridors from 7.5m to 15m and 30m to 60m (7.4). Open plan flats can be achieved (9.7). 90m for houses less than 4.5m in height . 75m for houses/flats not more than one floor above 4.5m. (e 19.1.2). Boundary distances can be reduced by half (29.4.2).